CoreRFID is one of the leading developers of applications for mobile and handheld devices using RFID. Over the past 10 years, we have developed the skills needed to deliver reliable, secure, easy-to-use applications on mobile devices such as smart phones, tablets, hand-held computers and PDA’s. Our approach of creating applications that fit with the jobs of the people that use them has won approval from companies in many industries and from the UK and across the world. Our CheckedOK mobile RFID solution is one example. It helps improve safety management in construction, engineering, manufacturing and chemical industries bu providing engineers with an ideal, mobile, test and inspection system. 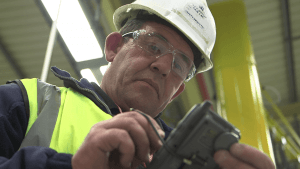 Each of these has its own inspection and reporting requirements; each has its own challenges for identifying and checking the equipment in use. This is just one example of how we use our knowledge of mobile RFID systems to help build practical application solutions. Learn more about CheckedOK here. Get our Chairman’s thoughts on developing effective mobile systems. As well as our solutions for inspection and test we have delivered mobile RFID solutions for asset management on London’s Underground, keeping track of mobile IT assets and tool tracking for BAE systems among others. Learn more about our users in our Case Studies. See examples of some of the mobile devices we work with. reporting, certification and alerts systems tailored to application or legislative needs .